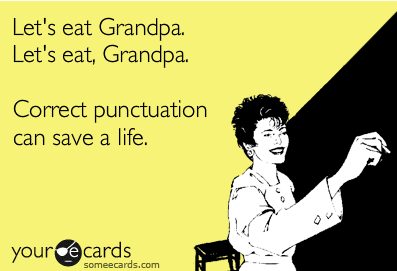 Grammar and language is changing and evolving due to the impact of social media. Trying to fit thoughts into text messages and 140 characters on Twitter can be mind boggling. As Quality experts, we are asked a lot about if ag ents can utilize abbreviations and “text talk” in customer interactions via chat, email, social media, etc. There is a very fine line in regard to what is acceptable and just plain negligent on a company’s part. There are still many consumers that judge grammatical and spelling mistakes harshly. As a rule of thumb, when it comes to the brand, all “t’s” should be crossed and all “i’s” should be dotted. By doing so, agents are protecting the brand’s credibility and representing it appropriately. Proper grammar and spelling should have been grasped in primary school and with the internet available to almost everyone, there should be no reason interactions with customers should not contain the correct usage of language. 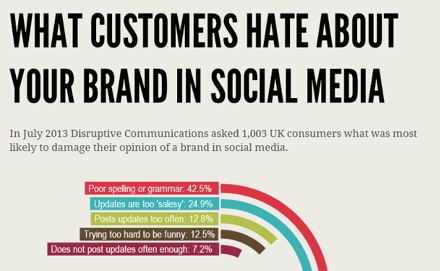 According to 1,003 UK consumers, 42.5% hated poor spelling and grammar when it came to brands on Social Media. That is a significant percentage and warrants attention when ensuring call center agents are representing their company. Mistakes can be forgiven; however, making them continually can be detrimental to the company and the brand. Ultimately, encourage call center agents to use proper spelling, grammar and speech to demonstrate that the company cares about their credibility and image to the customer … and that says a lot. Next Post How is a Call Center like the Super Bowl?